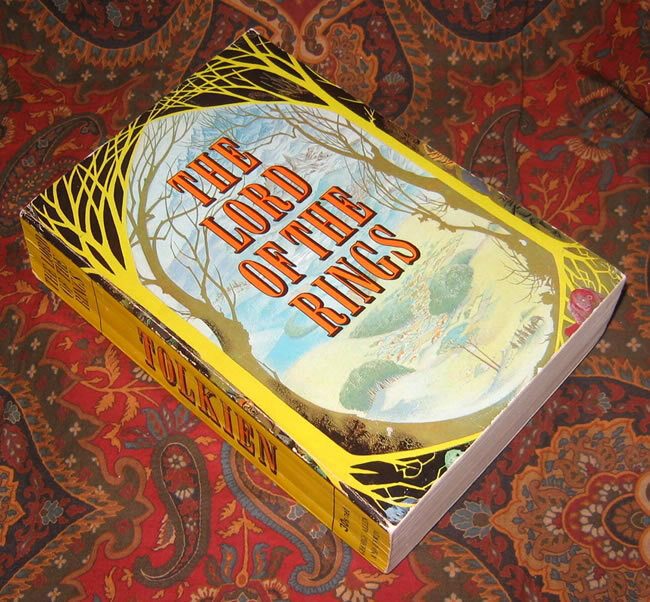 #000467 - The Lord of the Rings - 1st Thus, 1968 1 Volume Paperback Editon, Near Fine - Covers by Pauline Baynes, showing 2 of 3 panels of the 'Triptych' artwork originally painted by Pauline Baynes for the slipcase of the 1963 Deluxe Edition. 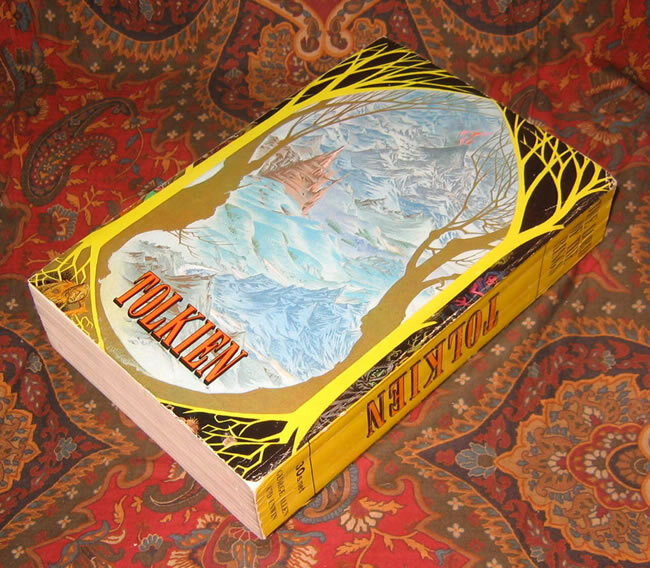 Covers by Pauline Baynes, showing 2 of 3 panels of the 'Triptych' artwork originally painted by Pauline Baynes for the slipcase of the 1963 Deluxe Edition. 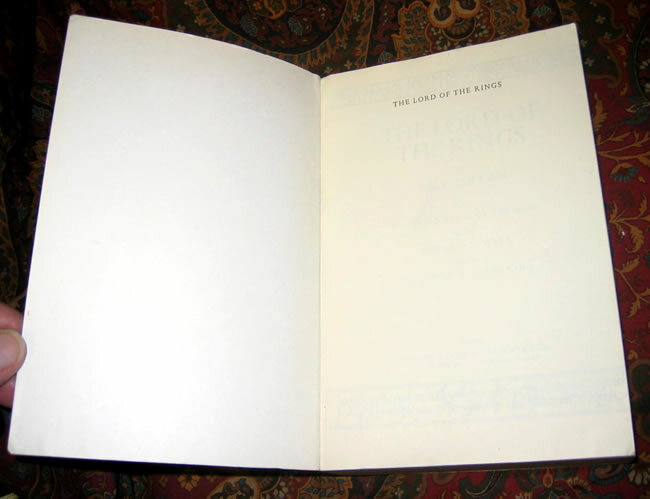 The First Thus, UK One Volume Paperback Edition, published in 1968. 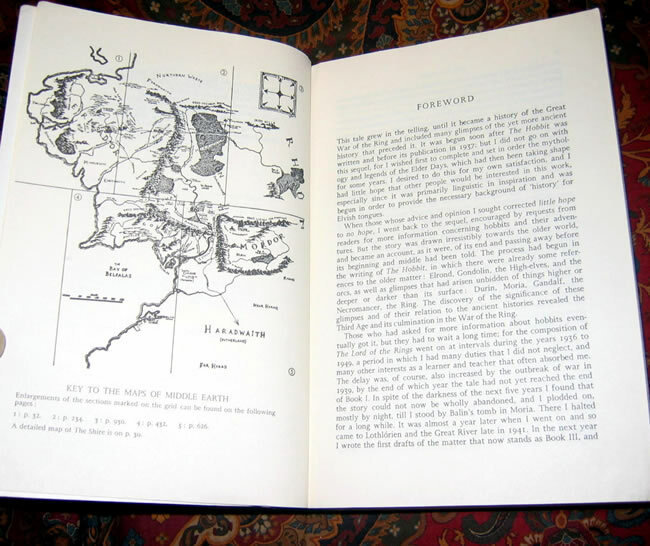 A Near Fine copy of an extremely collectable book. 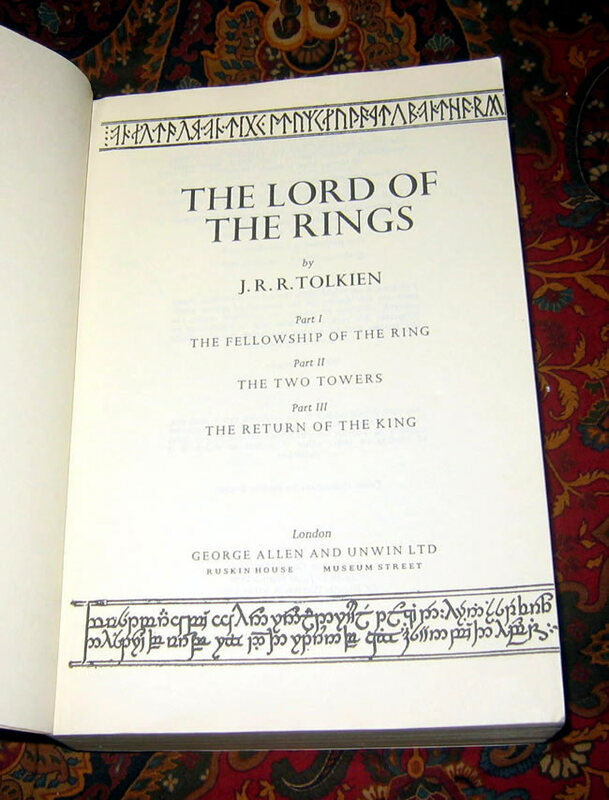 This is the famous 1 volume paperback carried around by college students in the late 60's, during the 'Battle for Middle Earth' controversy. No previous owner names or any other writing. 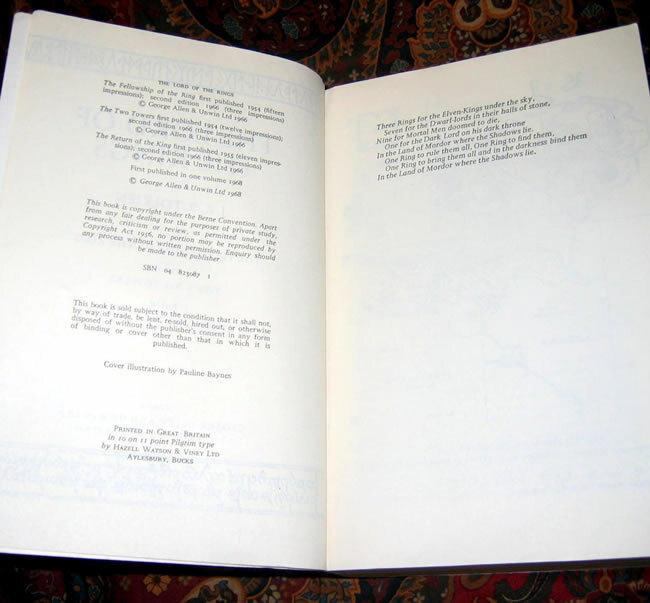 You will not find another in this unfaded, unmarked, uncreased, Near Fine condition. Only the slightest of rubbing to the edges of the pictorial covers.